Gary G. Showing off the great jackpot prizes. 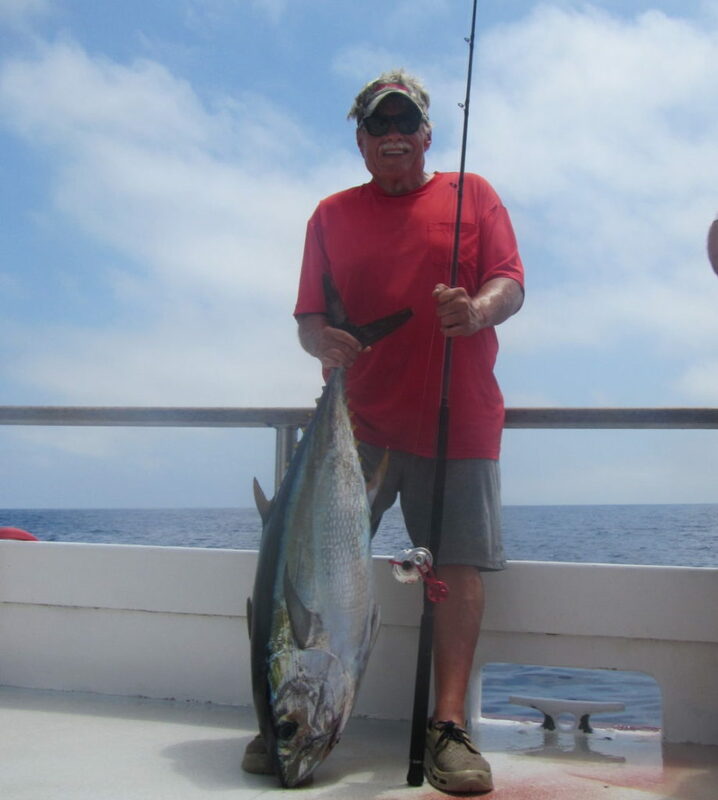 Dan L. and his nice looking 67lb Yellowfin tuna. Nice job Dan! Capt. Remy in his styling UV shirt. Ashley with a 45lb Yellowfin! Mark S. and Capt Mike with 40lb yellowfin!